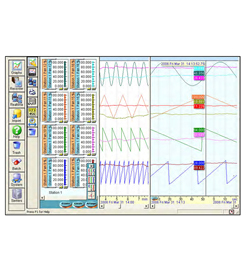 TrendManager Software Suite complements the X Series family of paperless recorders and helps users review and analyze the recorded data. ​TrendManager Software Suite is a package of tools for graphing continuous and batch data, analyzing and archiving data, configuring the paperless recorder products, setting up scheduled uploads of recorder data or acquiring data in real-time and exporting this to other software packages like Excel. The suite includes - TrendViewer Pro, TrendManager Pro, TrendServer Pro, TrendServer Pro with an OPC Server, and a Database Management Tool.